Register now to be kept informed of our continuing workshops around Australia. Easily match and create perfect colour relationships. Easily mix any colour. It's for artists and designers, fashion and textiles, DYI home renovators, professional interior designers, house painters, architects and planners, web and graphic designers - RGB & CMYK, as well as art, design and science teachers. Head over to our new dedicated website www.moriartycolour.com to purchase yours or to find out more. 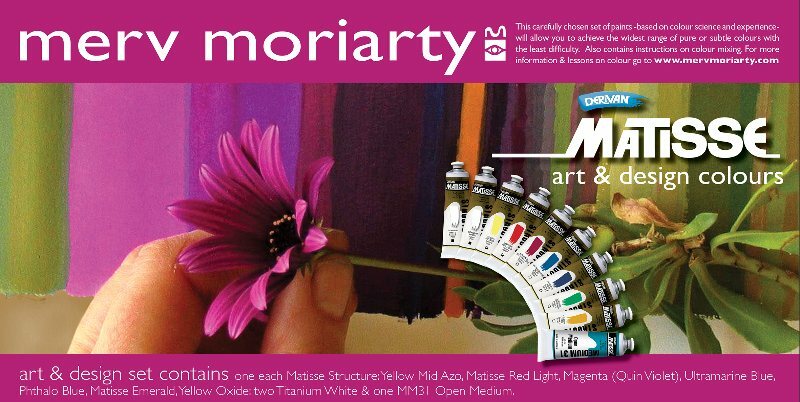 You can stay up to date with everything Moriarty Colour through our social media feeds. CLICK HERE FOR STEP-BY-STEP VIDEO! Merv Moriarty Matisse Acrylic Artist Colour Sets! 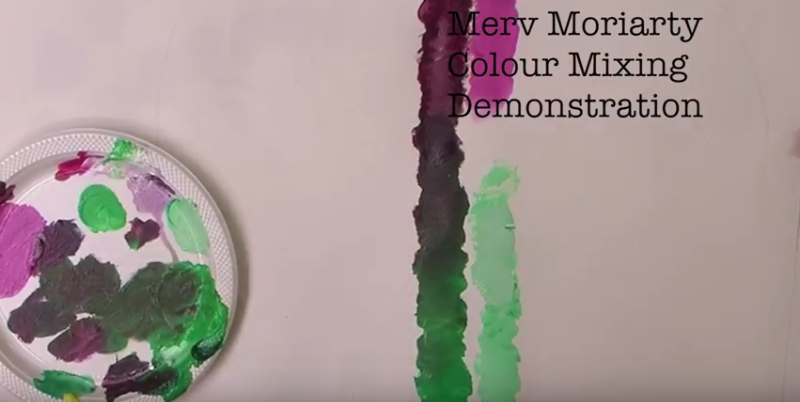 This Colour Mixing exercise using Derivan Matisse Acrylics shows Merv Moriarty demonstrating mixing two complementarys (opposite on the colour wheel), Magenta and Green to make black or grey. 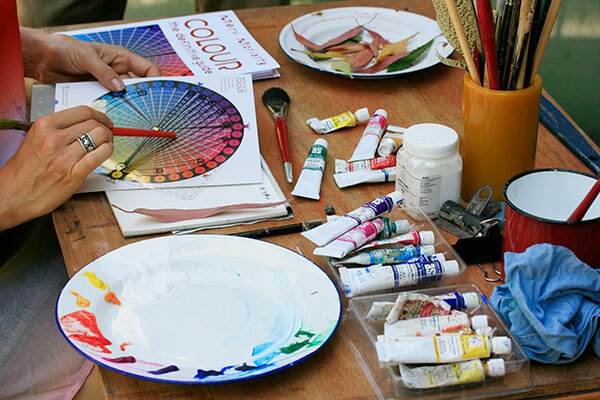 Merv Moriarty provides everyone working in colour with the intellectual and practical tools and workshops to develop your skills in art, paint, draftsmanship and colour, with hand made, wire-bound and DVD books plus Moriarty COLOUR products available for purchase online. Use the menu buttons above to peruse the site or click on any of the images. Merv Moriarty was at the Wheeler Centre, in Melbourne October, 2013. Watch Merv as he explains his original theories and discoveries contained within COLOUR – the definitive guide. 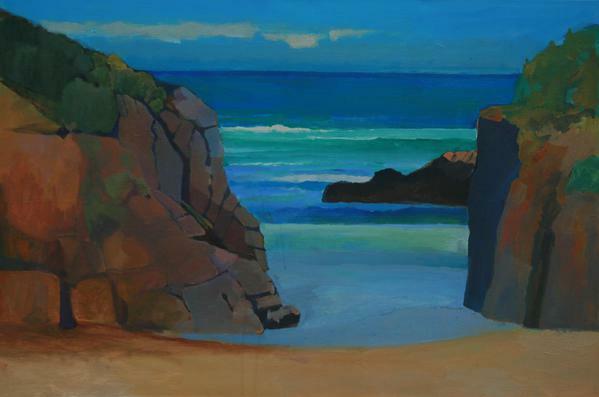 Merv’s work with thousands of students, and his own findings as an artist and art educator have resulted in his theories, proving that “right colour” is objective, not subjective. Here he is providing an understanding of colour and how we see it; explaining his innovative theories on interval and linkage, mixing colour as pigment and how his Three-Section Colour wheel system underpins the principles of colour mixing. 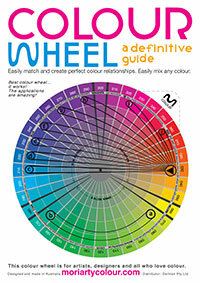 Essential for everyone interested in or working with colour. To view Mervs very successful talk click on the link below. Join our Mailing list (at the top left of this page) to be kept informed of our continuing workshops around Australia. "The colour wheel... a clear and precise teaching tool"
COLOUR - the definitive guide is now available on DVD & USB (to be viewed on computer and/or iPad). 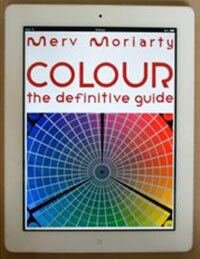 Merv’s book on colour is in print and on DVD with easy instructions on viewing on your computer or iPad! COLOUR - the definitive guide is self-published from the studio where Merv has created a new business: printing, hand assembling and hand binding books, following his first publication, The Eye’s Mind - the artist and the draftsman. 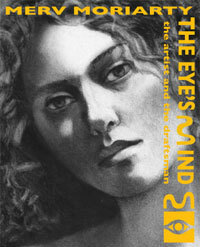 "I can’t help thinking that Leonardo would have liked this book..."
His Excellency Michael Bryce AM AE. Sasha Grishin art critic and author.